Near enough every day on the news one hears about a chain of stores closing down, shops boarded up, flagship stores opening, restaurants changing ownership, pubs being converted into houses, pop up shops opening for a season… the High Street is constantly changing due to many factors from the introduction of online shopping through to changing needs of the consumer. It’s not all doom & gloom – however, when I was a teenager there were many fashion & shoe stores lining my local High Street – shops such as Freeman Hardy Willis, Chelsea Girl, BHS, Woolworths – now the High Street is more likely to house coffee shops, convenience stores and beauty salons. ParcelHero, e-commerce fulfilment specialists have launched findings of their major report: 2030 – The Death Of The High Street. I spoke to David Jinks MILT, Parcelhero’s Head of Consumer Research and the main author of the report, to find out more. Hi David! Hi! 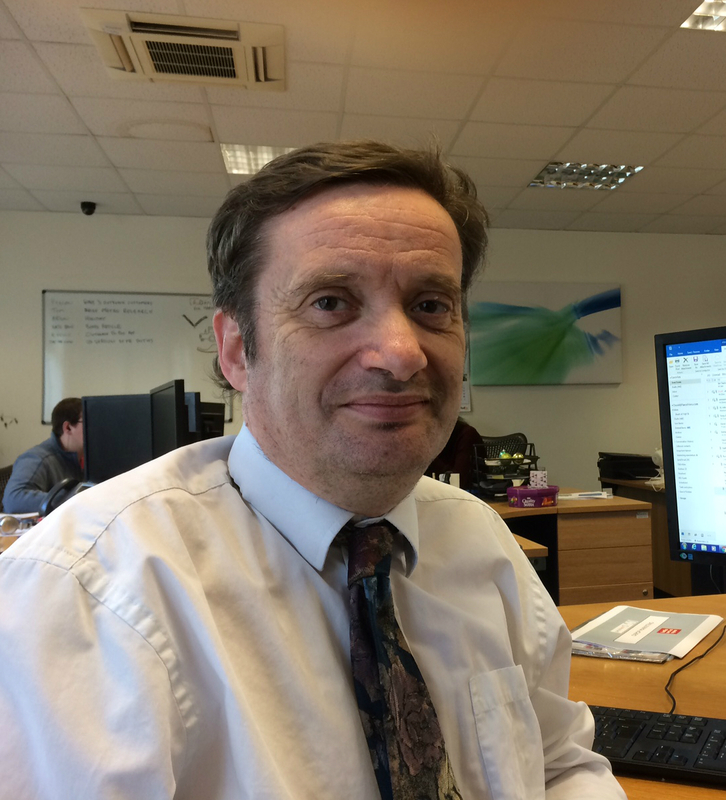 I’m David Jinks, Head of Consumer Research and Public Relations at ParcelHero. ParcelHero is an online parcel broker that gets lower prices with the likes of DHL, UPS and DPD than consumers can get if they book directly. We also ensure your parcels are picked up from your home or preferred location. 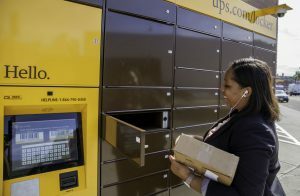 E-commerce and home deliveries are transforming retail right now; so it’s a fascinating industry to be in. Before I joined ParcelHero I was publisher and PR Manager for The Chartered Institute of Logistics and Transport; and before that an Editor at Time Inc on magazines as diverse as model cars, coin collecting and sci-fi toys and merchandise. You get the picture… don’t come looking to me for fashion advice! 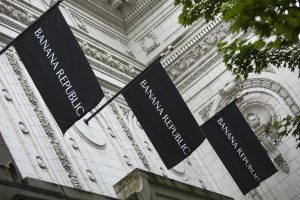 Seattle, Washington, USA – May 27, 2012: The Banana Republic downtown Seattle store location prominently features its store name on banners to increase visibility of its name. You are the main author of the recent ParcelHero report: 2030 – The Death Of The High Street. What inspired you to put pen to paper? Our retail-based customers are enjoying booming sales; which is great for us as well as them! But at the same time several rather niche but loved shops in my home town have closed. Looking at the rising online sales figures there was obviously a direct correlation between the two. 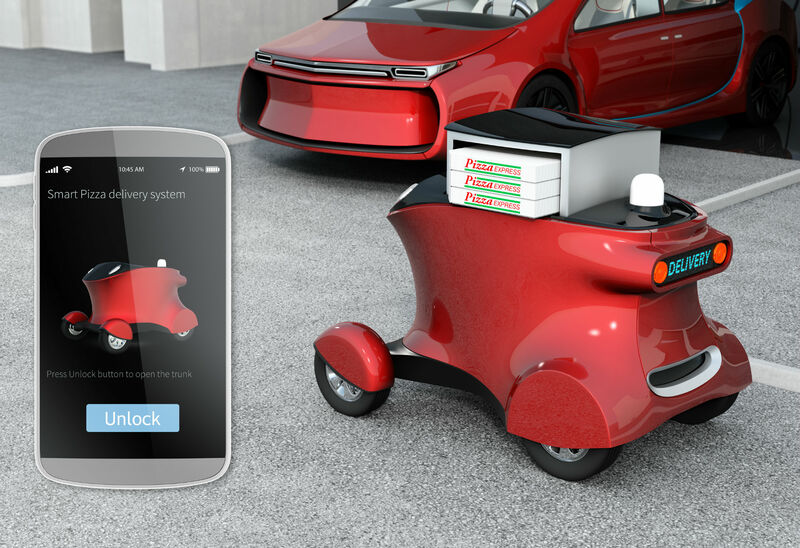 As a part of the home delivery industry we wanted to draw attention to what could happen to our town centres if businesses and local councils, etc, don’t wake up and smell the coffee. The impact on our High Street could be profound if shops are just left to fall empty. 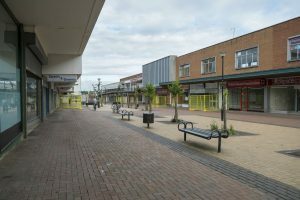 The report has revealed that by 2030, the impact of online shopping and home deliveries will mean that over half of today’s UK town centre stores, including the majority of today’s fashion outlets will have vanished. What do you think has contributed to the decline of the High Street & the rise in online shopping? It’s all about price and convenience. You can order up-to-the-minute quality clothing online in the comfort of your own home for prices even Primark may find hard to beat. You are not at the mercy of what’s in stock right now in your local fashion stores. The tense and depressing trog around shopping centres, unable to find the item you really want, is behind us. And buying online gives you better rights. You can return most items within 14 days without giving any reason whatsoever. So it’s easy to order the same item in a couple of different sizes and simply return the one that doesn’t fit. Or simply send the lot back if you don’t like it. Online sellers don’t have the overheads involved with stores; and are not at the mercy of what their buyer thought would be in fashion when ordering many months before. It’s far easier for, say, ASOS to introduce new lines swiftly, than it is for M&S who have to stock all their stores; or your local indie fashion store that will have had to commit to a certain order weeks in advance. So there’s little wonder High Street fashion stores are suffering. They are the new fashion victims. In 1950 there were 600,000 stores in the UK, in 2012 there were 290,000 and just 220,000 will survive by 2020. It is not only fashion outlets that struggle but other outlets like bookstores too. 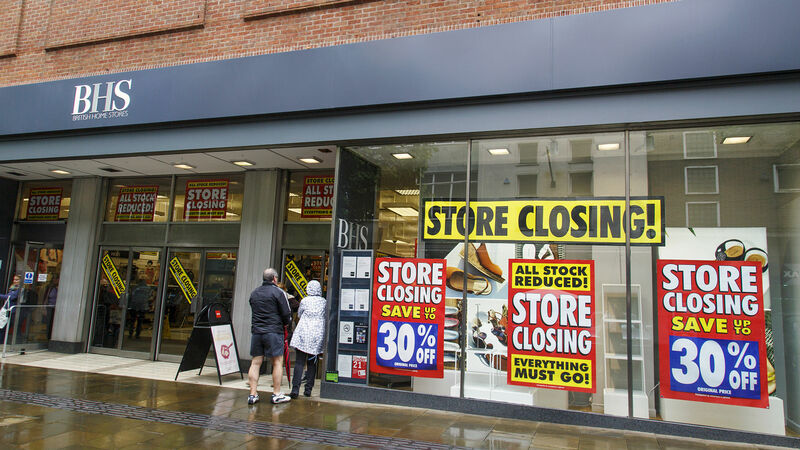 What types of stores have lost their High Street allure? There’s a list as long as your arm. Department stores suffer from the same issues as fashion retailers. They must commit to large stocks and are then unable to respond swiftly to the latest retail trends. BHS won’t be the only big name to disappear. There’s likely to be an unhappy ending to toy story either. Toy shops are disappearing faster than you can say Buzz Lightyear. Even supermarkets are not immune. As more and more of us do the big weekly food shop online they will be left as white elephants in our town centres. It’s not all doom and gloom though – what types of outlets are more likely to prosper in the High Street in 2030? Why the growth of these particular outlets? Nail bars! Seriously, any beauty place where physical contact is needed, such as hair dressers and beauty salons will always be needed. If things go on as they are then most of the rest of our streets will be full of chicken shacks and charity stores. However, if local authorities and retailers learn to live with e-commerce then there is indeed a bright future. People need to move back into our town centres; turning some sites that were once stores into homes. Around these houses will spring up convenience stores, restaurants etc; ensuring our city centres cease to be no go areas after 6pm. A 24-hour community will need local stores serving niche needs with expert service to compliment what’s available online. Local stores will also offer parcel pick up and drop off points and even 3D printing stores as technology moves on. The High Street could become vibrant even in the evenings again. When you compiled the report, were you surprised by the end results? What was the most unexpected fact? When I started, we still had American Apparel and Banana Republic, as well as stores such as Staples. The swift collapse of major brands in the UK had me rushing to keep the report up to date and get it out before any other big names vanish! In 2006, just 2% of UK fashion spend was online, now it is almost 25%. The online fashion industry could reach £36.2bn by 2030. This figure doesn’t surprise me as I now do most of my fashion shopping online. I do miss the old shops, especially the shoe shops such as Freeman Hardy Willis ..However, in Colchester, a new Primark has just opened on the site of the old BHS; and in Chelmsford, a new shopping centre with John Lewis as the anchor has just opened. How are retailers fairing who have both a High Street & online presence? Good point! Don’t forget it was our very own Tesco’s that sold the first ever item online – groceries to a Mrs Snowball way back in 1984. Tesco’s is now frequently our second biggest e-commerce site after Amazon. And John Lewis makes more money online than from its entire flagship Oxford Street store. So those retailers that embrace e-commerce do have a future. The problem is that sometimes online sales are cannibalizing a brand’s own High Street shop sales. If you bought a dress or a washing machine from John Lewis online; that’s a sale that could have gone to their local store. So their internet sales could end up propping up your local branch. It’s a tradeoff that all multi-platform retailers must keep in mind. If town centres/High Streets are not rejuvenated they could potentially become “no go” areas after dark. What do you think could be possible solutions to prevent that happening? As I’ve briefly mentioned, planning regulations need to be relaxed so town centre commercial properties can become homes for a community returning to our towns and cities to live. We need to go back to the future, returning to a Victorian style scenario where people live and work locally and there’s a thriving local retail scene that’s a sociable experience; to compliment the home deliveries that will form the bulk of retail in the future. More homes mean more convenience stores and restaurants open till later; and a vibrant place people want to go to – and we won’t need to build on Green Belt land! Although the report is based on the scenario here in the UK, have you read or looked into similar reports in other countries, such as the USA? Is the outlook similar? Your average Market Street or mall in the US is facing exactly the same problems. Macy’s and Sears for example are closing hundreds of stores nationwide. 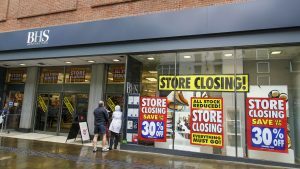 And once the main department store in a mall closes – they are known as anchor stores to US retailers – the whole future for all the stores is endangered as footfall decreases rapidly. So, the US retailer is facing the exact same issues; if not worse. 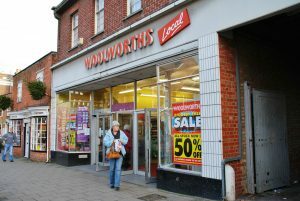 Are there any shops that you used to visit yourself that are no longer on the High Street? I’m a bookshop addict! From Borders to Booksetc to Ottakers I miss all the old stores. 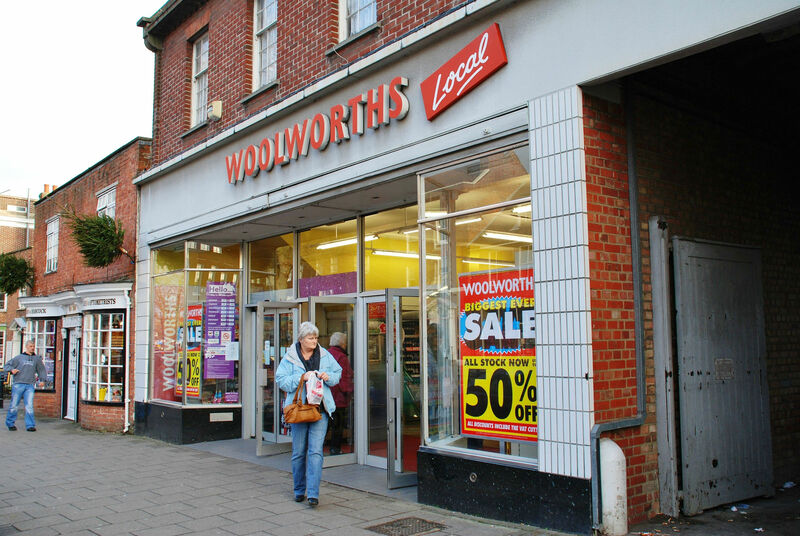 And I still pine for our local Woolworths; and do you remember Times Past? I loved that shop! You may already have guessed I’m not the best dressed man in London. Among the young and fashionable team here at ParcelHero my choice of ties – which no one else wears – is a constant cause of amusement. My 14-year old son, who spends hours agonizing over which jeans to wear, always walks several feet behind or in front of me so people don’t think we’re related. If ever I do have any money to spend on clothes I like Next; otherwise it’s Primark for me. Apart from clothes I love Waterstones, Argos, Ikea and, of course, Amazon! This question has got the many more fashion conscious staff here chuckling. I can make a shirt and tie look messy. If I sit down on a bench at the weekend people give me money. But if I am dressing up for something I do like a nice shirt with cufflinks. A pair of Oxford brogues thanks. Ideally with magical self-cleaning powers. Unless by boots you mean wellies? If so Hunters; and as this is a fashion site I’ll make them green, of course! Links you would like to share e.g. website/facebook/twitter etc so that readers of the blog can learn more about the report. 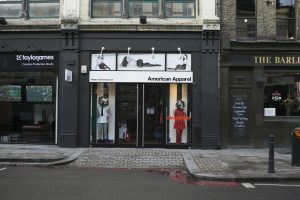 You can read the full report here: https://www.parcelhero.com/blog/news-updates/2030-dead-end-for-the-high-street There’s lots more on the plight of fashion stores and how the High Street might be saved. 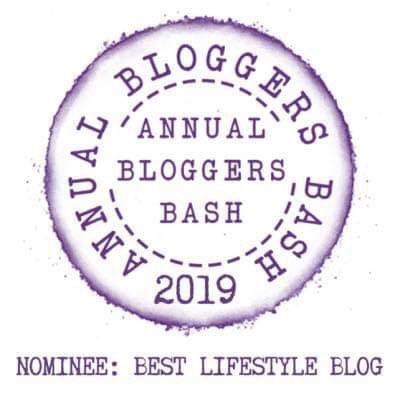 Thank you very much David for joining us on the blog. I really did enjoy strolling through the fun interactive graphic – shops such as Dixons (bought my first DVD player from there), Radio Rentals (I remember all the TVs that adorned their shop windows all showing a channel & you could catch a glimpse of the latest football match on a Saturday afternoon, and crowds used to gather around at full time when the tele printer issued the full time scores!) So dear readers, do you have fond memories of stores you shopped in that are no longer trading? Do share your memories!